The IP issue has been a sticking point in libertarian circles for a while and still divides, as was evident in the extensive debate between Robert Wenzel and Walter Block about a year ago. My position is that intellectual property is not property, at least not in the same way that physical property is. And even if it is, there’s no justification for coercive state intervention, as there might be for physical property. 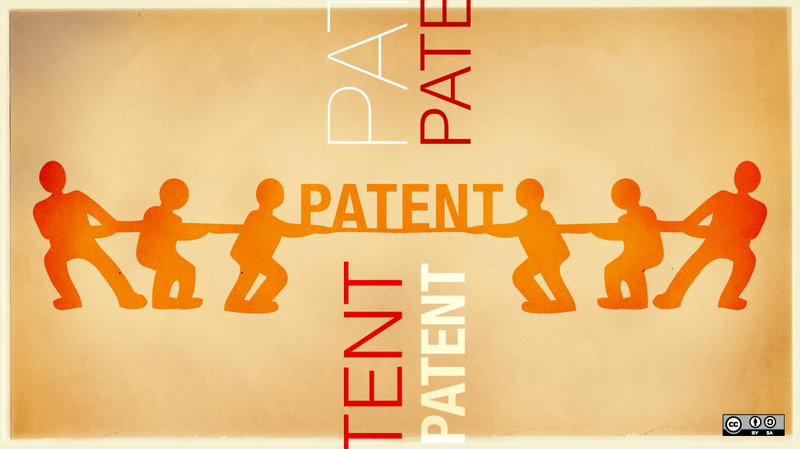 Let’s focus on patents as representative of IP, because they are the most expensive and most litigated, although many of these arguments could extend to trademarks and copyright as well. Libertarian IP advocates tend to fall into a circular reasoning: they presume that ideas are property, and then apply a libertarian defense of property to their assumption. Therefore, IP must be protected. But there is no reason ideas should be property. Just because you can conceive of a thing as property, doesn’t mean it is or should be. Such as people – slaves. Just because a thing is rare, or has economic utility, doesn’t mean it is property. Ultimately, there has to be an ethical justification. There are both ethical and utilitarian justifications for intellectual property, which I’ll cover here in a series of posts. Claim: Without the inventor of an idea, that idea would not have arisen. Because the inventor has brought something into the world, that exists only because of him, he owns the idea and should have a monopoly on its application. But the problem is, we can’t test this assumption. We can’t travel into the future to see whether or not an idea would have arisen anyway, or how long it would have taken to arise. In fact, history shows us many ideas, fundamental ideas like calculus, developed independently, in parallel, or within a short time of each other. In reality, ideas do not arise in a vacuum in one person’s mind, but are the result of the culture and times in which the inventor finds himself. Yet the inventor does not credit all the intangible, fleeting, and unaccounted ideas he has absorbed over a lifetime to produce his invention. All these cultural influences are working on many people and we simply can’t know that one idea, even a narrow one, will not arise in the near future. “Necessity is the mother of invention” is the old aphorism, which explains why good ideas will inevitably be invented, regardless of the particular inventor. With physical property, it’s easy to tell what’s mine and what’s yours. This land is my land, that land is your land. We have a marker, a division. But it’s very difficult to tell where one idea begins and another idea ends. How broad or specific should the distinction be? Is a pink telephone really an “invention” versus a regular telephone? What about a round pink telephone? These are not trivial questions – they cut to the heart of the claim that inventions would not have come about except due to the particular inventor who first came up with them. In general, the broader the claim, the more likely it is that it would have been invented anyway. The more specific the claim, the more trivial it is, and the less it can be called an “invention”.